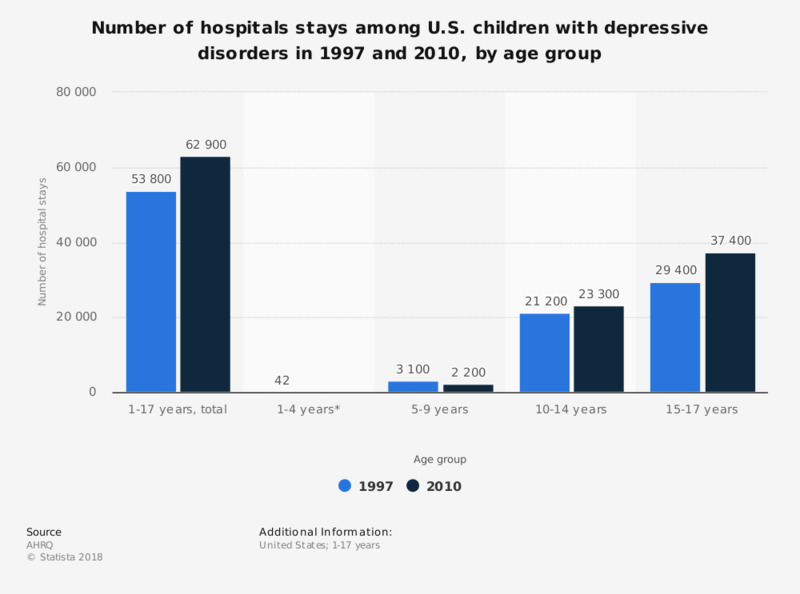 This statistic represents the total number of hospitals stays among children with depression in the United States comparing 1997 and 2010, by age group. In 1997, the total number of stays amounted to 53,800, while in 2010 the number of hospital stays due to depression amounted to 62,900. * Data for 2010 not available.